Using a chainsaw is hazardous, and even the most experienced operator can become careless, and oblivious to the dangers – especially with a repetitive job like logging. Prolonged periods of using a heavy chainsaw can also produce backache, and increase the likelihood of short cuts taken, so causing accidents. The LogMaster can overcome these problems, and is probably the safest saw horse available. The chainsaw is clamped to the saw horse, and the weight of the saw is then carried, on the frame, leaving the operator free to hold the log in position with one hand, and swing the chainsaw through the log with the other. The whole weight of the chainsaw is supported by the LogMaster and NOT your back! – the chainsaw is supported by a simple clamping plate, taking the back ache out of sawing logs. This simple solution to an old problem makes the job easier, faster, and safer. 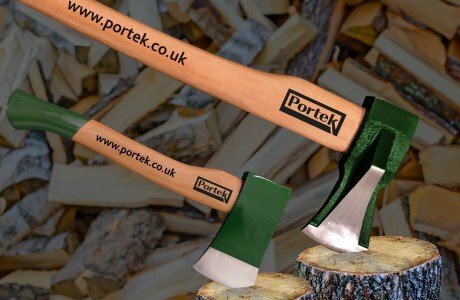 Anyone with experience of chopping logs will appreciate the value of this clever design. This simple and robust saw horse will change the way you chop logs forever. The LogMaster makes it fast, safe and effortless to operate unlike the conventional method which requires constant bending, lifting and straining, starting and stopping. So spend more time relaxing in front of the fire and less time working out in the cold!